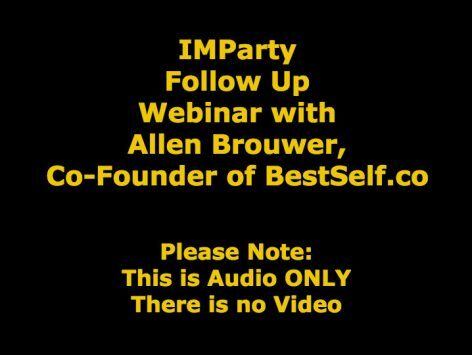 Allen Brouwer Presents his follow up webinar for a few of our members, expanding on what he shared on his main talk at the party… Please note this is AUDIO ONLY… There is No Video. This is epic. Listen and learn, folks!